The stone wall on the northern end of our garden is intended to resemble the Wailing Wall in Jerusalem, where millions of people go each year to pray and seek God’s presence. The Wailing Wall, also known as the Western Wall or Kotel in Hebrew, is the only wall that remained standing when the Second Temple was destroyed by the Romans in 70 A.D. This remnant of what was the most sacred building in the Jewish world quickly became the holiest spot in Jewish life, and Jewish tradition states that the divine presence continues to dwell at the Wall. 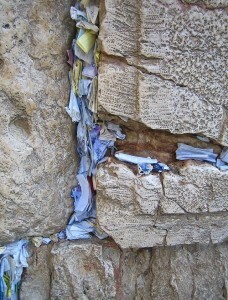 People of all faiths visit the Wall each year to cry out to God to heal them from their ailments. 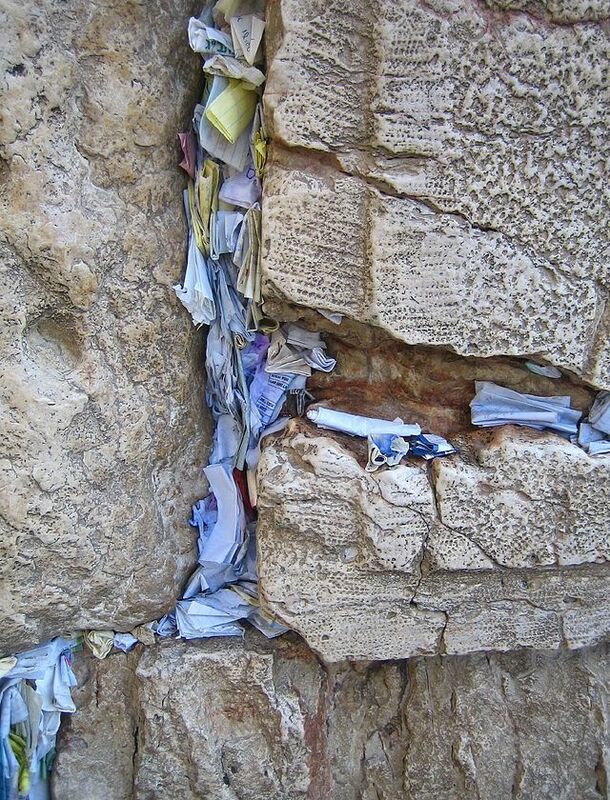 Placing slips of paper containing written prayers into cracks of the Wall is common practice. A prayer station with pen and paper has been set up in our garden. Please feel welcome to write your prayer onto a slip of paper and place between the rocks, following the tradition of the Wailing Wall.